When you are in the towing business, it is crucial that you stay on top of the upcoming jobs using GoFleet’s GPS fleet monitoring GPS fleet monitoring. You need to make sure your drivers are at the job site in a timely manner to ensure your business runs efficiently. This translates into more business. Many customers assume when they call a tow truck company that they will be stuck waiting for service for an indefinite amount of time. When you use GoFleet’s GPS fleet monitoring, you will be able to change all of that for them. You will be able to dispatch the closest tow truck to the driver’s location using the fastest and shortest route. You will also be able to provide your customers with a short service window and an accurate estimated time of arrival. 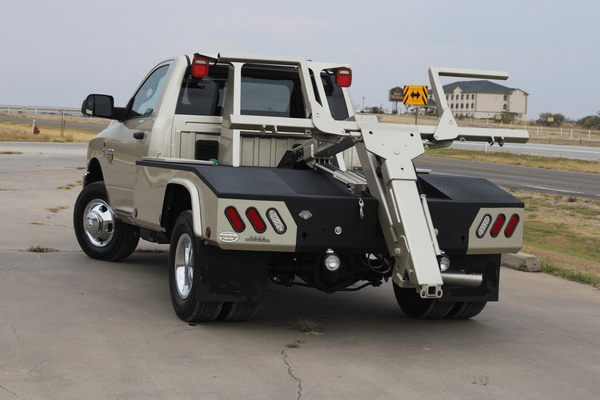 If you have a tow truck close by your customer’s vehicle, you will be able to tell your customer “Your tow truck driver will arrive within 10 minutes.” Your customers will be blown away by the level of customer service they receive when they call your tow truck company. Word of this type of high quality service travels fast. You will have many more customers before you know it. Furthermore, the improved customer satisfaction will help you retain more clients and develop loyal long-term relationships. In the towing business, it is not just about towing a car, fixing a flat tire, charging a battery or recovering a car. This business relies on prompt service, location accuracy and route flexibility. Many of your customers are calling you for service because they are stuck on the side of the road or in an unknown location. These circumstances can be dangerous. Your customers are relying on you to come to their aid as fast as possible and get them back on the road safely. GoFleet’s GPS fleet monitoring can raise your tow truck company’s game by ensuring fast response times and more efficient route planning. This can mean huge fuel savings, improved customer services and high productivity.